Punjabis are the real gem. Being a Punjabi is so much fun and I can say it without a second thought. 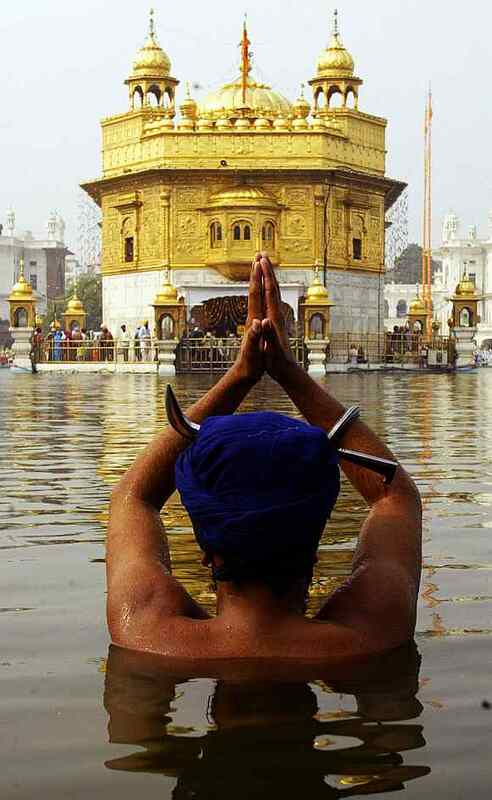 I have been brought up in Punjab and cherished every moment lived. Love them or hate them but you can’t ignore them. I have seen many people counting their flaws and cracking jokes on them. But Punjabis are the people who are doing hard work, earning huge money, helping everyone around them & spreading smile wherever they are. And here’s a fun take on whatever I have closely observed over the years, which make you a truly Punjabi. Punjabi culture and marriage are full of energy. A Punjabi wedding is a real experience, complete with the majestic eye-catching set of thick bangles (chooda) the bride wears for her wedding, along with the expensive lehenga. (I wonder why south Indian weddings never have a DJ, and why their weddings are sober unlike Punjabis where you’ll find uncles and cousins shaking a leg to “tunak tunak” to “balle balle” to “singh is king”). Any Punjabi wedding is incomplete without ‘Munda apne viyah de vich nachda firre’ and ‘Pra hoja sohniye saadi rail gaddi aayi’ song. If Punjabis are good in celebration Parties including cocktail party flowing with unlimited booze, They are also very religious and follow every customs with great sentiments and pure emotions. Punjabis would not take offense if you crack jokes on them. In fact, they’ll laugh along if the joke is good because they have high self-esteem and are assertive. But they are also brave when it comes to defending their honor or when an act of courage is required to save someone. Also Read : Reality on Sardaron ke Baarah kyun Bajte hain? One little ‘peg’ is a must every night to enjoy life king size and that’s a rule with most Punjabi men. No matter how tired and exhausted they are, everything goes off with a drink to chill. If it’s not Bhangra or Bollywood, it’s not great music. Seems Punjabis don’t really believe in putting efforts understanding the lyrics in the case of English music so the first choice is mostly filmy music. If Bhangra is playing somewhere they can not resist themselves from dancing. Sometimes, they dance like roffling on the floor. It may get as embarrassing as you can imagine but Punjabis DO NOT care. Dance like there’s no tomorrow is the mantra. Be it on weddings, a party of even a club, they love to dance, dance and only dance. Punjabis aren’t the richest people but I’ll surely say they are large-hearted. They’re trustworthy and quite generous when it comes to sharing whatever little they have. Sharing is inherent to most Punjabis, and they’ll gladly do so, not because they like to show off, but because they are magnanimous. In your group of friends, there is a good chance that your best friend will be a Punjabi. If ever you need to cheer up a Punjabi ‘just play a Punjabi Songs on full volume. Real fact, Punjabi people are an awesome Personalities.